This laser cutter can work within irregular workspaces, and it can weld 10′ long and 5′ feet wide. It also has a wrist that can move in a circular “360 degree” motion. When you give us a call, we can structure a method that will produce your desired results. This machine will accept material lengths from a few inches to 120” and a few inches to 60″ in width. Our feature tool for our metal fabrication process is our Mazak laser cutting machine. It presents a broad spectrum of features that decrease operator workload and power consumption. The technology utilizes for our services stimulates emissions manifested by a beam that can manipulate several reflective surfaces, providing clean, burr-free metal cuts. With lightning-fast traverse speeds of up to 120 m/min, our laser cutter significantly reduces the production time-cycle. Nozzle replacement, torch substitution, and focal point adjustment all enhance the diversity of our laser cutter. An automated set-up adds to the feature set, rendering the machine equally effective on ultra-thin and thick sheet metal. The CNC laser cutter is a huge part of our fabrication operation. Metal fabricated components cut with a laser are sturdier and more reliable. A Mazak CNC laser cutter is able to fabricate steel brackets out of several types of configurations. Its precision cutting process ensures the best cut with minimal labor involvement, meaning that all brackets are produced as efficiently as possible. 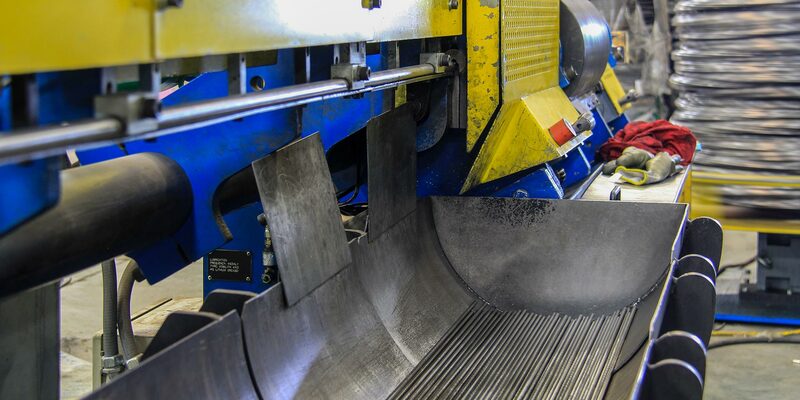 Our cutter is a highly practical piece of machinery that can do etching, perforating, ablating, scoring, and even combinations of these processes, allowing us to offer our clients faster assembly line production services. It has the capability to score straight lines at up to 2,000 feet per minute while still sticking to tight tolerances. It is guided by patented controls and software that can quickly respond and adjust the laser’s energy in accordance with the movement and speed of rolling metal sheets. Our Mazak CNC laser cutter can be used for automatic metal fabrication of components like brackets, chassis, enclosure boxes, and solar mounts. Laser cutting technology not only provides extremely low turnaround times but effectively minimizes the need for secondary operation on parts that have been laser cut. With the help of CAD/CAM-enabled laser cutting systems, old parts and templates can be used to fabricate new ones through reverse engineering, avoiding any wastage of motion or material, and making component fabrication highly economical. At AWP, we are committed to providing the best metal fabrication services & programs for your manufacturing requirements. When you commission a laser cutting service from us, you don’t just obtain a system. You get specifically customized services carried out by a dedicated, highly-experienced production staff. Our process development team will collaborate with your team to fully understand your fabrication requirements, and then develop a laser cutting production plan that meets all of your service needs. Our Maze laser cutter offers the advantage of mass production, quality, and quick turnaround time. We can produce different configurations to suit a wide variety of diverse industrial requirements. AWP’s production team can quickly adjust the machine to fabricate sheet metal in the desired form. Our laser cutter has allowed our metal fabrication services have set new standards for quality and production. Contact Us here for your estimate.